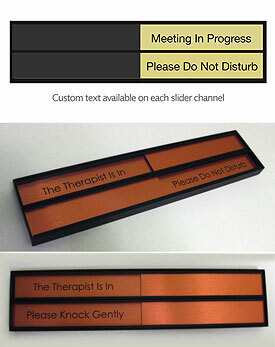 Customize the status of your office door, cubicle or meeting rooms with up to four different phrases and availability using our 10"W x 2"H Elite 2 Channel Slider sign. 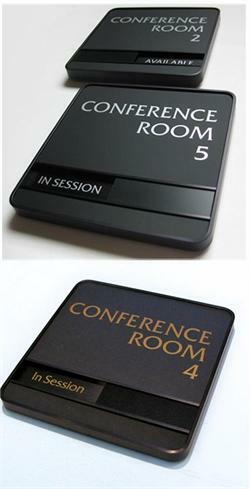 Effective for business offices, government meeting rooms, educational classrooms - anywhere you need to display the availability of a specific area. 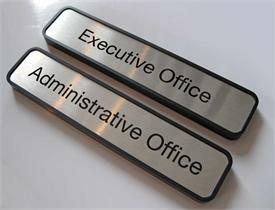 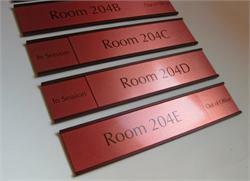 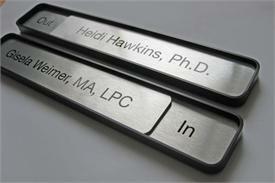 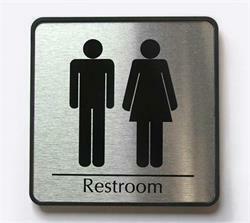 With your choice of four metal plate colors and various fonts, you can customize your slider sign to match your existing decor and give your office or meeting room a clean, professional look.